BRADENTON -- After seven deuces, the break finally swung Kylie McKenzie's way. Tamara Zidansek served seven times with the score knotted during seventh game of the decisive third set in the Eddie Herr International Junior Championships' final round. Pulling out a win for the first break of the final set was improbable and swung the championship match in McKenzie's favor. 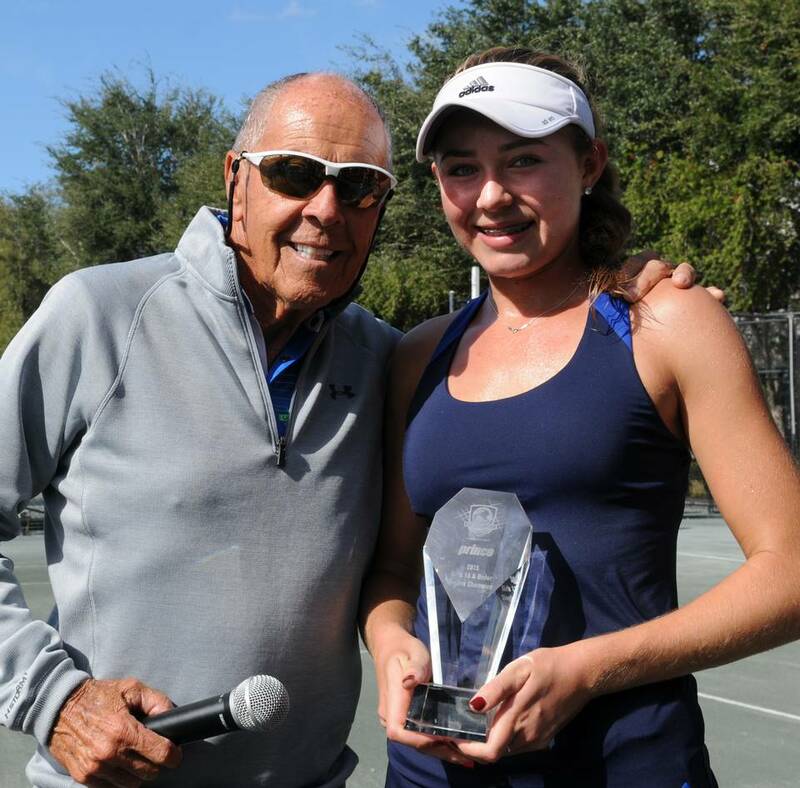 No one broke again and the unseeded American completed her unlikely Eddie Herr International championship run with a 2-1 (3-6, 6-4, 6-4) victory in the final round at IMG Academy. "I don't think you can assume that at this time, they will hold serve even after such a break," said Henner Nehles, who coaches McKenzie at the United States Tennis Association facility in Boca Raton, "But if the game goes this long -- the seventh game of the third set -- after so many deuces, so many close calls, back-and-forth, I thought this was the make-me-or-break-me point of the match." erased a four-game deficit in the final set of her third-round match against fellow American Hanna Chang, and McKenzie clinched her spot in the final after falling behind 4-2 during the first set Saturday before regrouping to beat top-seeded Dalma Galfi. On Sunday, she played in her first International Tennis Federation (ITF) final and fell behind once again. Zidansek, the No. 5 seed from Slovenia, raced ahead for the most convincing set of the day, a 6-3 win. The underdog from Anthem, Ariz., seemed overmatched. But by playing mistake free and holding serve through the entire final set, McKenzie secured her first junior title. "It means so much. This was my first ITF title final and at such a big tournament," McKenzie said. "I came out really nervous, but I handled it well today and I did well. I'm really happy." With a 4-3 lead after breaking Zidansek, McKenzie traded sides and briefly her serve vanished. She fell behind 40-15. Zidansek was a point away from taking back control of the match. The Arizonan whipped serve after serve over the net, placing her shots on the corners of the service line to drag Zidansek out of position. Eventually, there was a deuce and then two more before she pumped her first with a 5-3 lead. After Zidansek held serve, McKenzie ended her first championship with an ace. Before Saturday, McKenzie had only even been to the semifinals of an ITF tournament once--at the Easter Bowl Championship in California. Before September, when she reached the final eight at the U.S. Open, the Easter Bowl was also her only junior quarterfinal appearance. 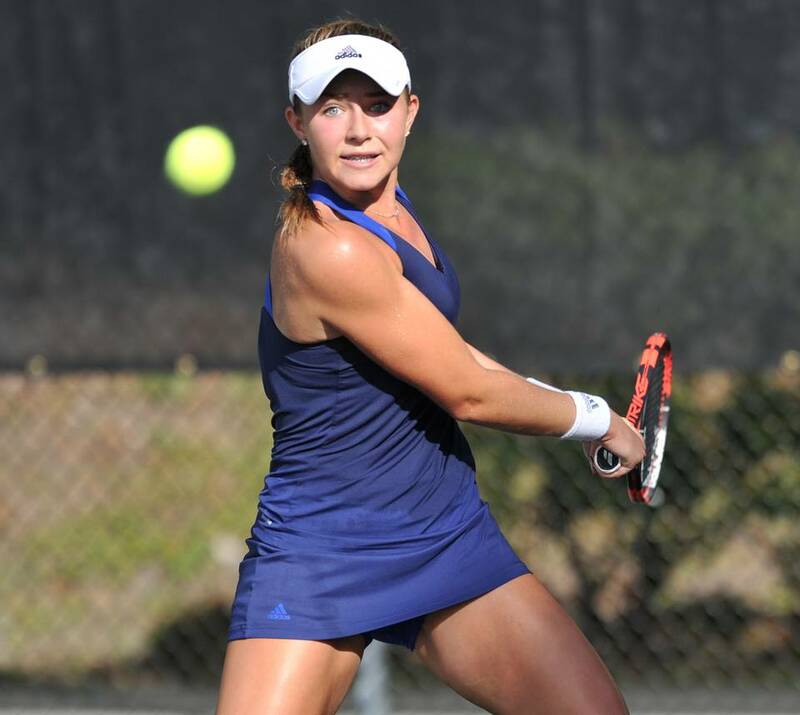 She followed her trip to the quarters in New York with another at the Pan American ITF Championship in Tulsa, Okla. She was now confident, but still had modest expectations for the Eddie Herr until her miracle run began with the third-set comeback against Chang. Now into the quarterfinals, she knew she could win the whole thing. "I got a lot of confidence from that," said McKenzie, who battled a cold during the first part of the week. "I had never done that before, so coming in to the rest of my matches I knew if I was in a bad situation and not feeling well on the court I could get myself out of it." The boys final round followed the girls and was a seesaw match as well, eventually decided on a third-set tiebreaker. Felix Auger-Aliassime used his monster serve and heavy ground strokes to overpower Alex De Minaur, who trained with IMG for a 2-1 (6-4, 6-7, 7-6) win. Auger-Aliassime quickly shuffled off the court following the match due to an illness after being presented his trophy.